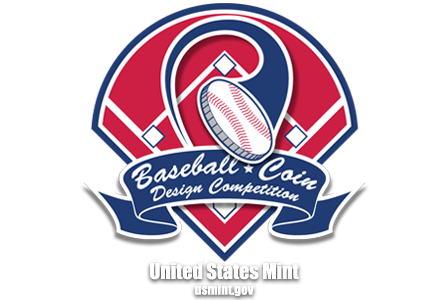 Batter Up Baseball Coin Design_YM Cho | Baseball Coin Design Competition: Batter up! Pitch your coin design today. I explored the idea of making the design look athletic, modern, and unique by having the baseball appear as the number "0" for 2014. 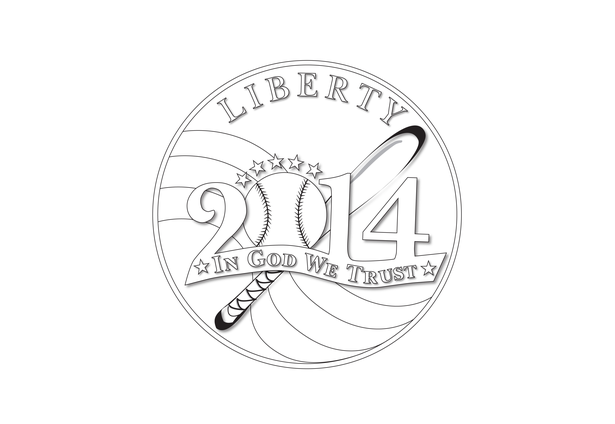 I also thought the words "In God We Trust" could be placed in a banner style connected to the numbers with stars to indicate that every baseball players are stars in the field. Thanks for the kind words and good luck to you too. Your design expresses a very unusual incorporation of the required design elements....unique indeed. very nice, wonder if the banner could be frosted like the Walking Liberty's?